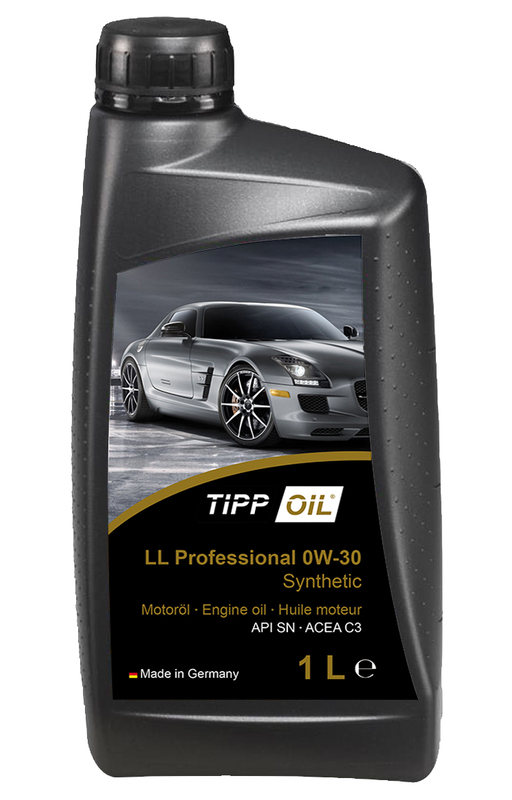 TIPP Oil offers a wide range of automotive engine oils and high performance engine oils. These proven engine oils to lubricate car engines in the best possible way. Designed to optimize engine efficiency, reduce wear and reduce fuel consumption. The product selection contains only an excerpt from our entire range. We are at your disposal for any questions you may have. To receive the safety data sheets, please click on the respective product image. FS Excellence LS 0W-20 is a synthetic low-viscosity engine oil for passenger car gasoline and diesel engines with and without turbocharging and direct injection. 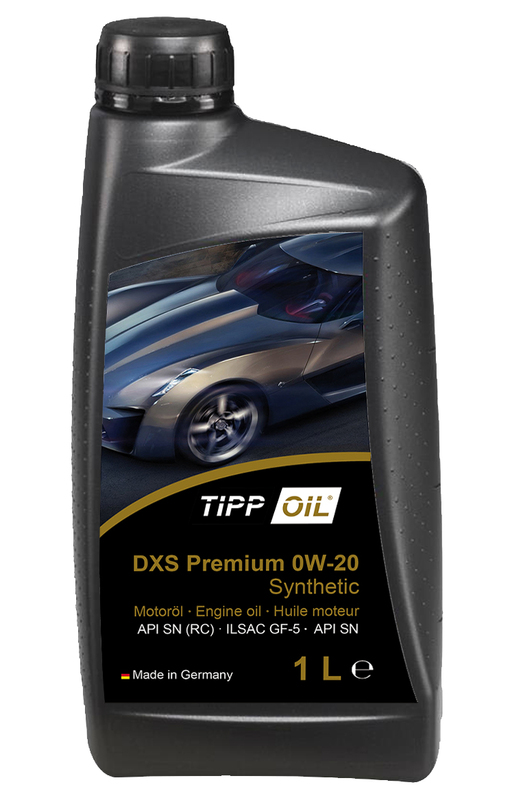 DXS Premium 0W-20 is a synthetic Mid SAPS low-viscosity engine oil for passenger car gasoline and diesel engines with and without turbocharging and direct injection. FS Supreme 0W-20 is a synthetic low-viscosity engine oil for petrol and diesel engines with and without turbocharging and direct injection. 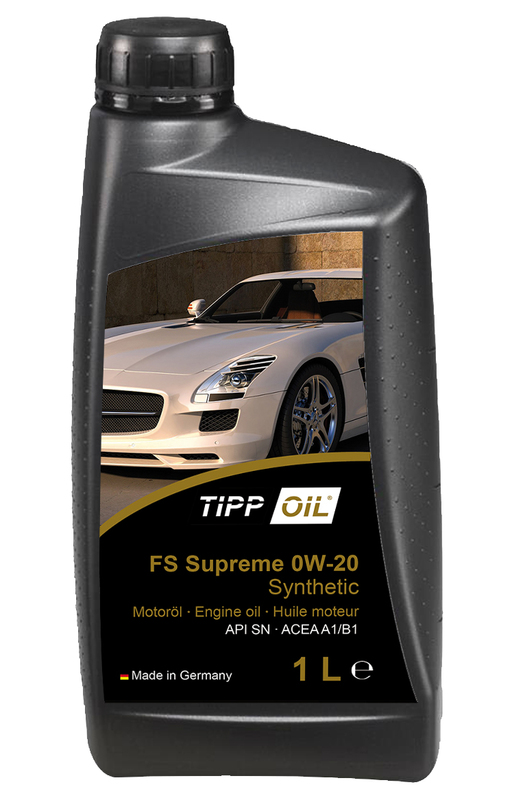 FS Super 0W-20 is a synthetic low-viscosity engine oil for passenger car gasoline and diesel engines with and without turbocharging and direct injection. Pro Longlife IV 0W-20 was specially developed for the latest Volkswagen specification VW 508 00/509 00 (also known as VW Blue Oil). 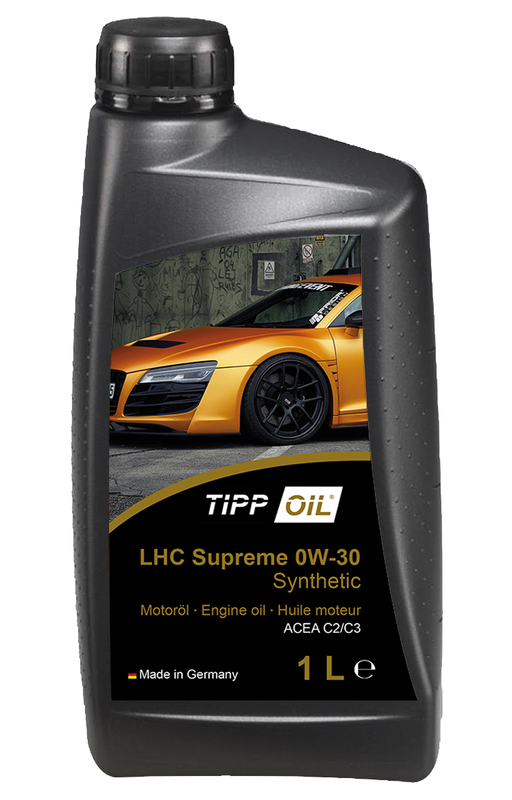 LHC Supreme 0W-30 is a fully synthetic low-viscosity engine oil for passenger car gasoline and diesel engines of light transporters and high-performance vehicles with diesel particulate filter DPF and 3-way catalytic converter that require a minimum HTHS of 3.5 mPa*s.
LL Professional 0W-30 is a synthetic low-viscosity engine oil for passenger car petrol and diesel engines with and without turbocharging and direct injection. Minimization of friction, wear and fuel consumption, excellent cold start properties. 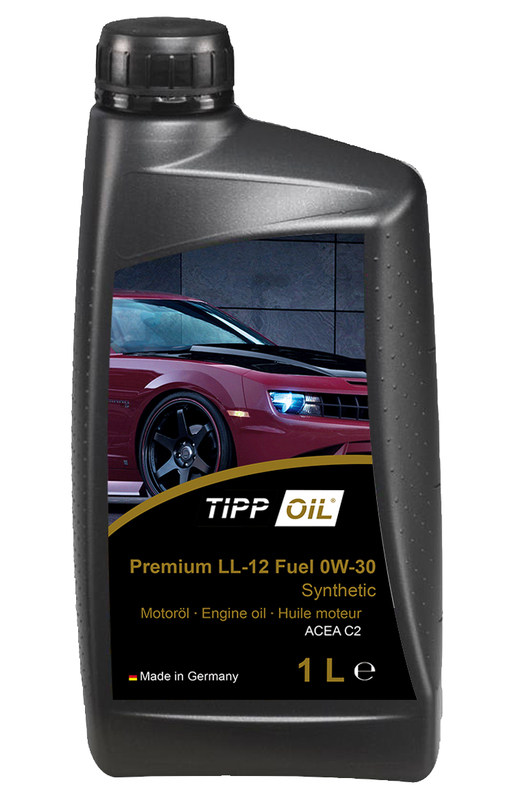 Premium LL-12 Fuel 0W-30 is a synthetic Mid SAPS oil for gasoline and diesel engines with and without turbocharging. 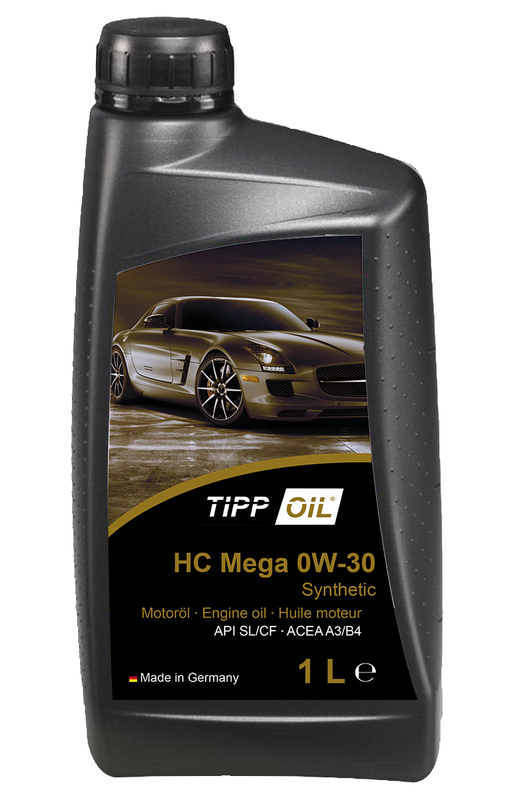 HC Mega 0W-30 is a synthetic low viscosity engine oil for passenger car gasoline and diesel engines of light transporters and high-performance vehicles with and without turbochargers and direct injection. 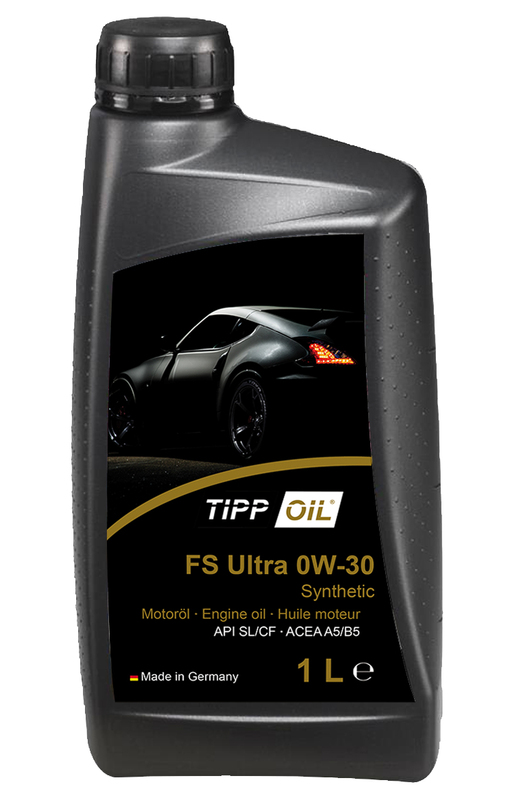 FS Ultra 0W-30 is a synthetic low-viscosity engine oil for passenger car gasoline and diesel engines with and without turbocharging and direct injection. FS VLV 0W-30 is a synthetic fuel-efficient engine oil for passenger cars, petrol and diesel engines with and without turbocharging and direct injection. FD Excellence 0W-30 is a synthetic low-SAPS low friction engine oil for passenger car diesel engines. FS Excellence 0W-40 is a synthetic low-viscosity engine oil for passenger car gasoline and diesel engines with and without turbocharging and direct injection. FS Super 0W-40 is a synthetic high-performance engine oil for passenger car gasoline and diesel engines with and without turbocharging and direct injection. FS Ultimate 0W-40 is a synthetic low-viscosity engine oil for passenger car gasoline and diesel engines with and without turbocharging and direct injection. FS Low SAPS 0W-40 is a high-performance low-viscosity engine oil for modern gasoline and diesel engines in passenger cars and vans. FS Racing 0W-50 is a synthetic high-performance engine oil for passenger car gasoline and diesel engines with and without turbocharging and direct injection. FS Excellence FE 5W-20 is a synthetic low-viscosity engine oil for passenger car gasoline and diesel engines with and without turbocharging and direct injection. FS Supreme 5W-20 is a synthetic low-viscosity engine oil for passenger car gasoline and diesel engines with and without turbocharging and direct injection. Excellence FD 5W-30 is a synthetic low-viscosity engine oil for passenger car gasoline and diesel engines with and without turbocharging and direct injection. FS Select 5W-30 is a synthetic low-viscosity engine oil for passenger car gasoline and diesel engines with and without turbocharging and direct injection. FS Excellence LS Ultra 5W-30 is a synthetic low SAPS fuel-efficient engine oil for passenger car gasoline and diesel engines. FS Excellence LS-M 5W-30 is a synthetic low-friction engine oil with reduced sulfate ash content for passenger car gasoline and diesel engines. ECO Power 5W-30 is ideally suited for energy-saving year-round use in modern passenger car petrol and diesel engines. FS Dura Fusion 5W-30 is a synthetic low SAPS fuel-efficient engine oil for passenger car gasoline and diesel engines. WIV-Multi LL 5W-30 is a synthetic low-viscosity engine oil for passenger car petrol and diesel engines with and without turbocharging and direct injection. DXS Premium 5W-30 is a synthetic Mid SAPS low-viscosity engine oil for passenger car gasoline and diesel engines with and without turbocharging and direct injection. SEMiS 5W-30 is a semi-synthetic low-viscosity engine oil for petrol and diesel passenger car engines with and without turbocharging and direct injection. Low Premium 5W-30 is a synthetic Low SAPS fuel-efficient engine oil for passenger car gasoline and diesel engines with and without turbocharging and direct injection. Combi Pro 5W-30 is a synthetic low-viscosity engine oil for modern passenger car gasoline and diesel engines with and without turbocharging and direct injection. Super Ultra 5W-30 is a synthetic low-friction engine oil with reduced sulfate ash content for passenger car gasoline and diesel engines. Excellence FDL 5W-30 is a synthetic Mid SAPS low-viscosity engine oil for passenger car gasoline and diesel engines with and without turbocharging and direct injection. 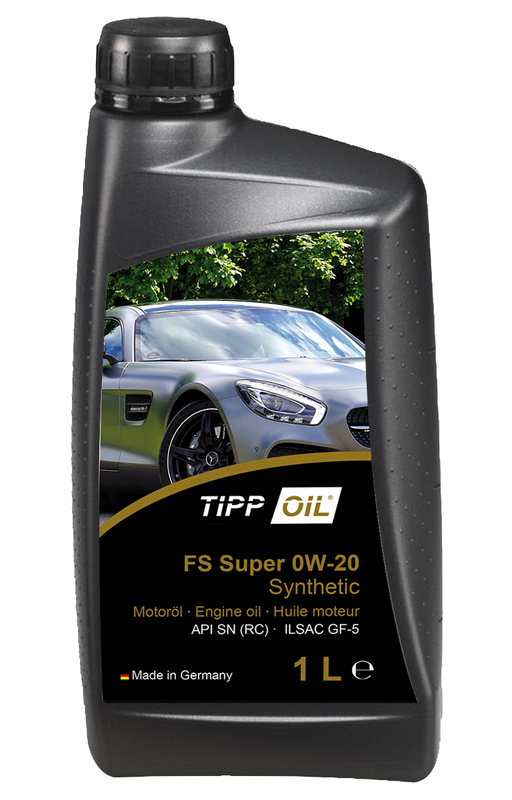 Super FS 5W-40 is a synthetic low-viscosity engine oil for passenger car gasoline and diesel engines with and without turbocharging and direct injection. HC LS UN 5W-40 is a synthetic low-viscosity engine oil for passenger car gasoline and diesel engines with and without turbocharging and direct injection. FS ELITE 5W-40 is a synthetic low-viscosity engine oil for passenger car gasoline and diesel engines with and without turbocharging and direct injection. Dura Fusion 5W-40 is a synthetic low-viscosity engine oil for passenger car gasoline and diesel engines with and without turbocharging and direct injection. Mineral 10W-30 is a synthetic low SAPS fuel-efficient engine oil for passenger car gasoline and diesel engines. Semi Power 10W-30 is a synthetic low-friction engine oil with reduced sulfate ash content for passenger car gasoline and diesel engines. FS Combi 10W-30 is ideally suited for energy-saving year-round use in modern passenger car petrol and diesel engines. Mineral Pro 10W-40 is a synthetic low SAPS fuel-efficient engine oil for passenger car gasoline and diesel engines. Mineral Turbo 10W-40 is a synthetic low-viscosity engine oil for passenger car petrol and diesel engines with and without turbocharging and direct injection. FS Supreme 10W-40 is a synthetic Mid SAPS low-viscosity engine oil for passenger car gasoline and diesel engines with and without turbocharging and direct injection. Mineral Pro 15W-40 is a synthetic Low SAPS fuel-efficient engine oil for passenger car gasoline and diesel engines with and without turbocharging and direct injection. Extra Ultimate 15W-40 is a synthetic low-viscosity engine oil for modern passenger car gasoline and diesel engines with and without turbocharging and direct injection. Mineral Super 15W-40 is a synthetic low-friction engine oil with reduced sulfate ash content for passenger car gasoline and diesel engines. HD Diesel Premium 15W-40 is a synthetic Mid SAPS low-viscosity engine oil for passenger car gasoline and diesel engines with and without turbocharging and direct injection. Mineral Pro 15W-50 is a mineral multigrade engine oil for passenger car gasoline and diesel engines with and without turbocharging and commercial vehicle engines. Racing Pro 15W-50 is a modern partially synthetic multi-grade engine oil designed on the basis of particularly high-quality base oils. FS Racing Pro 15W-50 is a modern synthetic multigrade engine oil designed on the basis of particularly high-quality base oils. Mineral Turbo 20W-50 is a mineral multigrade engine oil for passenger car, petrol and diesel engines with and without turbocharging, as well as commercial vehicle engines. Classic SAE 20W-50 API SC is a mildly alloyed year-round engine oil, the composition of which has been specially adapted to the requirements of classic and youngtimer vehicles with oil filters. Classic SAE 20W-50 API SE is a mildly alloyed year-round engine oil, the composition of which has been specially adapted to the requirements of classic and youngtimer vehicles with oil filters. Mineral Extra 20W-50 is a mineral multigrade engine oil for passenger car gasoline and diesel engines with and without turbocharging and commercial vehicle engines. Mineral Super 30 is a mineral monograde oil for passenger car gasoline and diesel engines with and without turbocharging and commercial vehicle engines. Classic SAE 30 API SA is an unalloyed all-season engine oil, the composition of which has been specially adapted to the requirements of vintage vehicles without oil filters. Classic SAE 30 API SB with the unique formulation extend engine life in older vehicles by protecting against mud and wear. Classic 40 SA SAE 40 is an unalloyed all-season engine oil, the composition of which has been specially adapted to the requirements of vintage vehicles without oil filters. FS Racing 10W-50 is a high alloy synthetic low friction multi-grade engine oil based on specially selected base oils. Classic SAE 40 API SB with the unique formulation extend engine life in older vehicles by protecting against mud and wear. Classic SAE 50 API SA is an unalloyed all-season engine oil, the composition of which has been specially adapted to the requirements of vintage vehicles without oil filters. FS Racing 5W-50 is a modern synthetic low friction multi-grade oil. 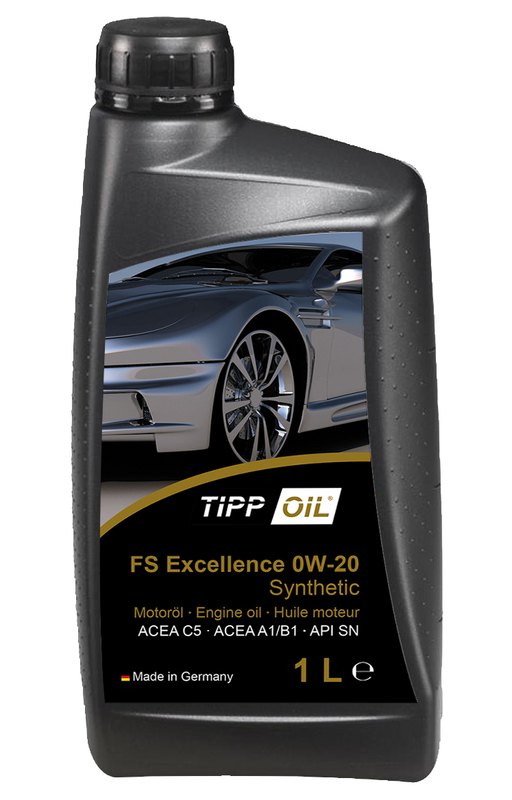 FS Spezial 20W-50 is a high-alloy, synthetic low-viscosity multi-grade engine oil based on specially selected base oils. Racing Ultimate 10W-60 is a fully synthetic multigrade engine oil based on specially selected base oils. FS Racing 10W-60 is a high alloy synthetic low friction multi-grade engine oil based on specially selected base oils. FS Low SAPS 5W-40 is a high-performance low-viscosity engine oil for modern gasoline and diesel engines in passenger cars and vans. High Ultra 10W-40 is a semi-synthetic high-performance low-viscosity engine oil for passenger car gasoline and diesel engines with and without turbocharging and direct injection. FS Low SAPS 0W-30 is a high-performance low-viscosity engine oil for modern gasoline and diesel engines in passenger cars and vans. We are there for you at many national and international locations.